The entire month of January is reserved to learning how to layer, baste, and quilt a finished top. 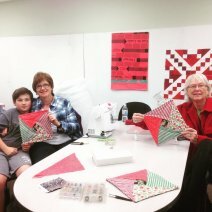 January 26 Charity Sew Day - All Day! Come on in and sew a simple pillowcase. In other words, everyone's dues are due!